What You Find When You’re Not Looking For Anything. This week MMMM is all about two different “Spin Off” products. Picture #1 showcases three figures in flesh color. They look like those wind-up figures where you twist a knob and the feet begin moving in a walking-type pattern; except these figures don’t do that at all. The feet just wiggle loosely. To confuse the issue even further, I find this advert (Picture #2) showing the three figures I have (amongst others) painted up and called Wind-ups! Nonetheless, I really like these figures. 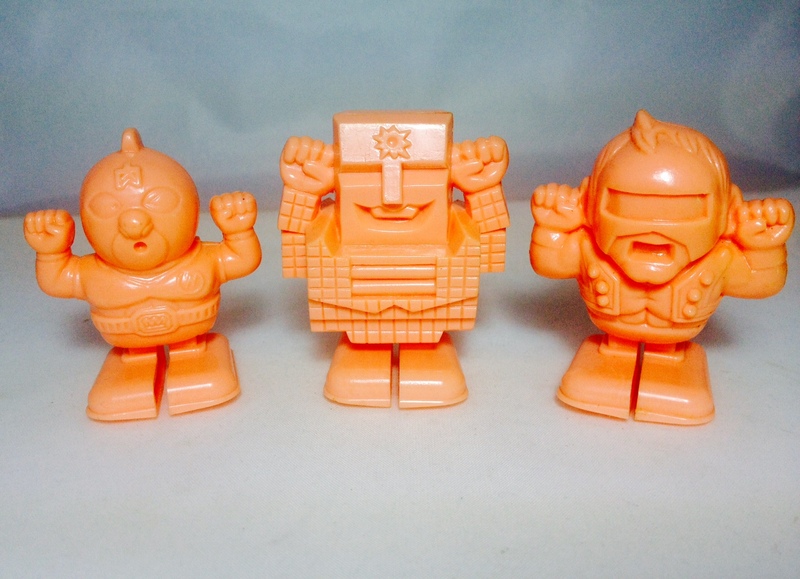 They are plastic and about the height of an average M.U.S.C.L.E. figure. Best of all, I won the three for about $10. Picture #3 shows another two figures based on the M.U.S.C.L.E. #164 and #166 figures. 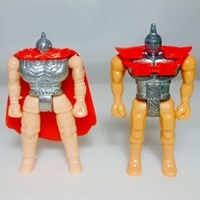 However, these have a metal torso and head – but plastic flesh color everywhere else. You have to assemble them like something from Ikea. I felt like a cross between Dr. Frankenstein and Skynet putting together these Terminator-type figures. The finished product comes out a touch smaller than the average M.U.S.C.L.E. figure. Picture #4 gives a sense of scale between those figures – plus the other figures. I would guess there would be at least five in the set (Phoenix, Zebra, and Kinnikuman himself would make up the other three). 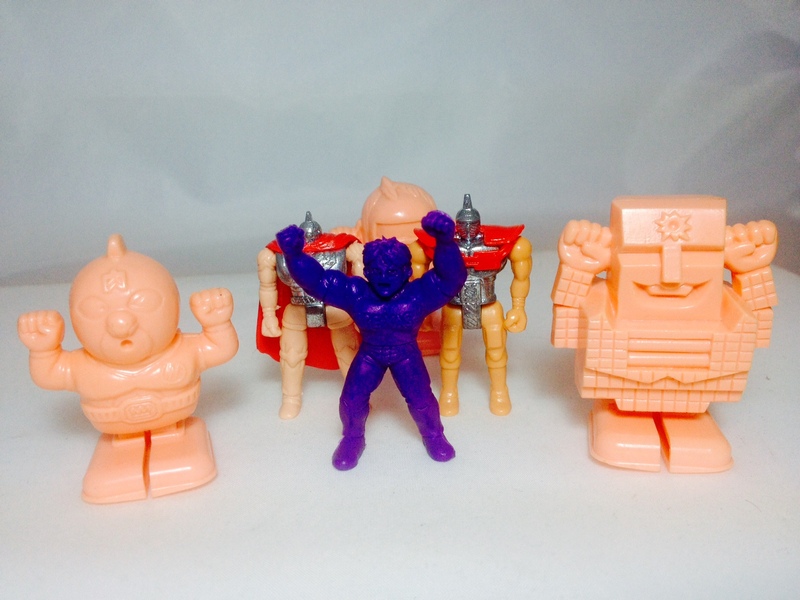 For me, these little oddities are what makes collecting Kinnikuman, items including all the “spin off” items, such an interesting hobby. You really never know what you might find in the seemingly endless auctions in Japan, many of which are a random assortment of figures. 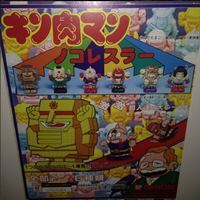 The Japanese must be time poor though there are still an abundance of single figure auctions there too. This entry was posted on Monday, October 26th, 2015 and is filed under UofM News. You can follow any responses to this entry through RSS 2.0. You can skip to the end and leave a response. Pinging is currently not allowed. Nice finds! 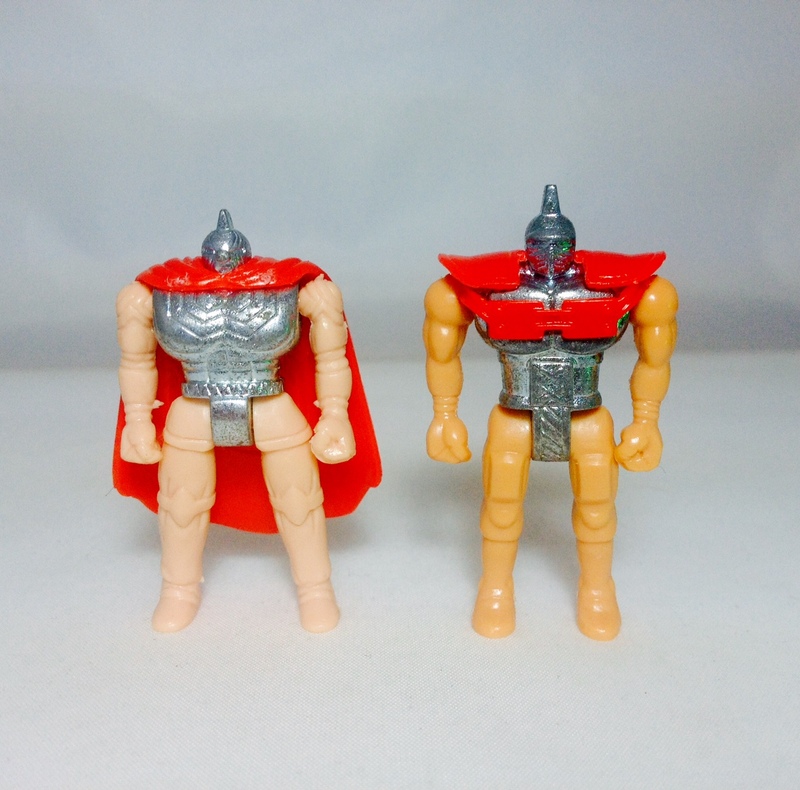 I have to say though, those two buildable figures really don’t do Kinnikuman Soldier and Kinnikuman Big Body justice!